For all flowering annuals and perennials. With the Miracle-Gro® Garden Feeder: One feeder refill packet in the Miracle-Gro® Garden Feeder will cover 500 sq. ft. in approximately 12 minutes. With a Watering Can: Mix 1 tablespoon of Miracle-Gro® for every gallon of water. Mix 1/2 teaspoon per gallon of water. Feed plants this special formulation every 7 to 14 days before and during bud-set and bloom. Your Plants Are Hungry. Feed them with Miracle-Gro plant food. For big, beautiful Miracle-Gro results, plants need water, sunlight and nutrition to flourish throughout the season. Instantly feeds to grow bigger, more beautiful plants versus unfed plants. Feed Every 1-2 Weeks. Developed with high phosphorus for color and bloom yield. Starts to work instantly for quick, beautiful results. Get ready to grow big, beautiful in-ground flowers. 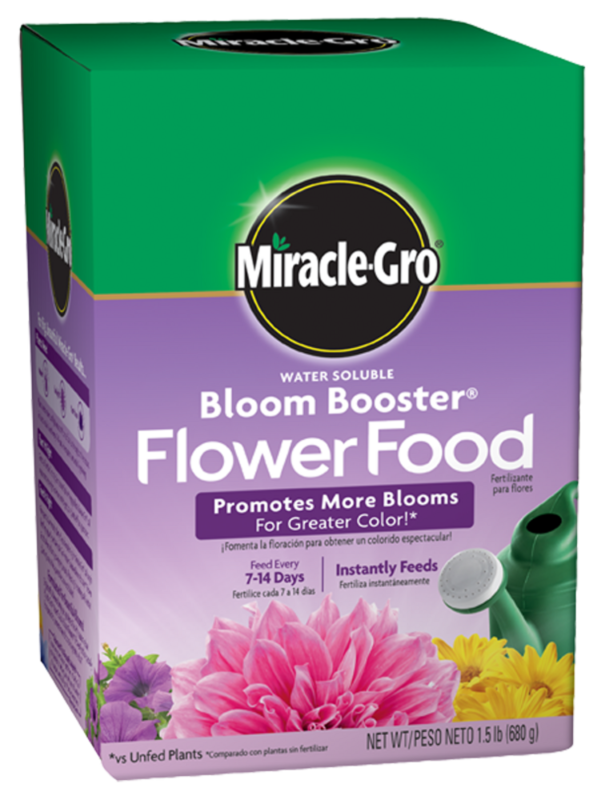 Miracle-Gro® Garden Soil Flowers feeds plants for up to 3 months while protecting against over- and under-watering. Azaleas are easy-care flowering shrubs that reward gardeners with massive blooms. Learn how to grow these quintessential Southern plants. Plant perennials for blooms that come back year after year with little maintenance.